Sia surprised everyone when she made a rare public appearance without wearing one of her signature wigs. The Australian singer attended a Netflix “Ozark” Tastemakers Event in Los Angeles on Tuesday and gave us all a glimpse of her uncovered face. 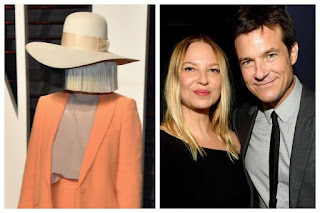 Sia showed up at the event looking completely different than she normally does in a classic all-black outfit with a trendy Chanel purse around her waist. Instead of her iconic black and white wig, she wore her natural blonde hair in long, loose waves. Although this isn’t the first time we’ve gotten to see what her face actually looks like, it’s one of only a handful of times she’s made a public appearance without her signature wig. Last year, her makeup artist, Tonya Brewer, posted a photo of Sia on Instagram showing off a green face mask, and before that, she was spotted at LAX in 2017 with almost no makeup on. Other than that, it’s pretty rare to spot Sia without something covering her face since she began wearing her signature wigs. Sia doesn’t do a lot of interviews and generally maintains an air of mystery, but, in the past, she has been open about why she hides her face. She has said that she regularly covers her face so that she can maintain some sort of normalcy in her life outside of being a pop singer.